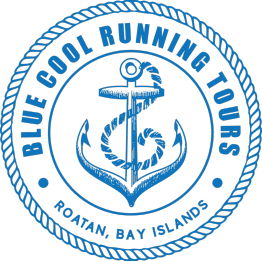 Deep sea fishing Roatan companies know that wahoo is a fish worth chasing. Found in tropical and subtropical ocean waters worldwide, the wahoo may not be the most well known game fish, but it’s becoming a more popular target amongst ocean fishers. Its iridescent blue back and silver sides allow it to hide in deep waters, but give it an appealing look. Wahoo have very sharp teeth, so if you’re bringing one onboard, you need to be careful. In this article we’ll go over some of the reasons why wahoo is becoming a more popular target for anglers. Wahoo has become highly regarded among top chefs and the taste of its light coloured flesh is mild and has been compared to mackerel. In fact, the Hawaiian name for wahoo is ono which means “good to eat.” It has a flaky, delicate texture that’s quite lean. It’s a good source of protein that’s high in vitamins B6 and B12, niacin, selenium, phosphorus and omega 3 fatty acids. Wahoo can reach weights of almost 100 pounds although a typical catch weighs in at 8 to 25 pounds. Wahoo is a very speedy fish, some of the fastest in the ocean. 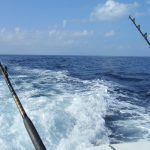 The first run it takes once it strikes the bait is only rivaled by yellowfin tuna or blue marlin. Wahoo is popular with sports anglers using light tackle gear because of their hard strikes and speed. Beyond commercial trollers, wahoo is typically caught on long line gear. Wahoo are loners and do not typically school, but they may be found in small groups under the right conditions. This means if you catch one wahoo, there may be more nearby ready to strike. 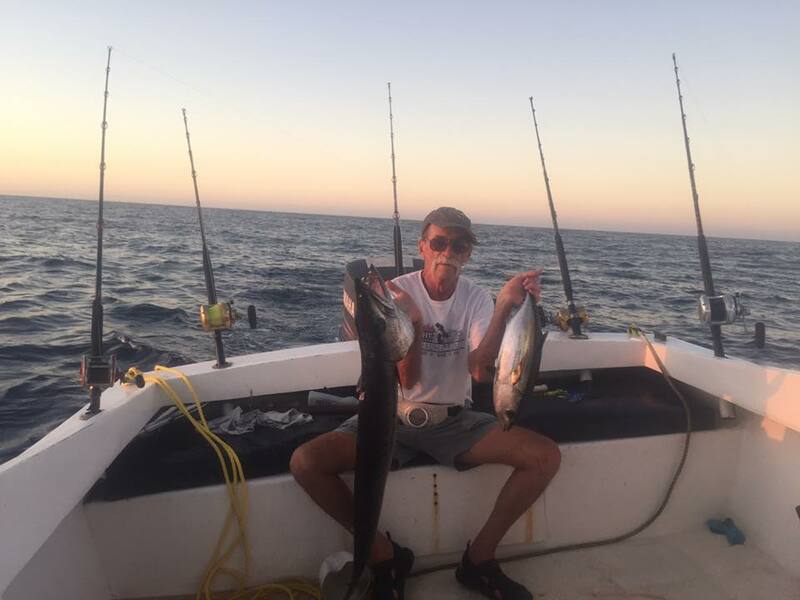 Wahoo are most active early in the morning and around sunset which give deep sea fishing Roatan outfits different times of day in which to target the fish. Anglers don’t have to go too far offshore to catch wahoo as they often congregate around the edges of deep bluewater. Next Post: Why Are Bananas Bad Luck for Deep Sea Fishing?